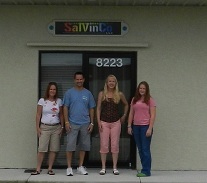 As of 2012, our staff has been selling and servicing the marine and RV industries for 26 years. We have vast knowledge of the FriLight brand 12 volt lights. We know the OEM boat builders and RV manufacturers who have used the FriLight fixtures, and what types of bulbs you need, etc. Our goal is simple: Happy Customers! We learn and improve ourselves with feedback. If for any reason your are not satisfied, we want to know about it. Please let us know how we may serve you and we will do our best to accommodate your needs. 12 volt Light Fixtures, 12 volt LED Light Fixtures and 12 volt replacement LED Bulbs. This line up is only a portion of the products we have access to. In late 2012, we began introducing "Commercial LEDs". We have watched the evolution of LEDs for many years now, and have been waiting for the LED technology to advance to where the light output is powerful enough for use in buildings. The wait is over! Eliminate flickering. Eliminate ballast issues. Eliminate waiting for halides to warm up. Eliminate maintenance for many, many years in your offices, warehouses and production areas. Learn how to go green, and save green (money): commercial LEDs. In late 2012, we have also begun sourcing microwave ovens, as our staff also has years of experience with appliances. Therefore, it was only fitting that we get involved as an OEM supplier for our existing customer base. This lead to the creation of our own line of boutique compact microwave ovens - Muave' . Learn more about our boat microwaves here.